If you do not have teeth, you may find it difficult to eat certain foods, but you still have nutritious options. You can enjoy many of the same foods you ate before by preparing them in new ways. 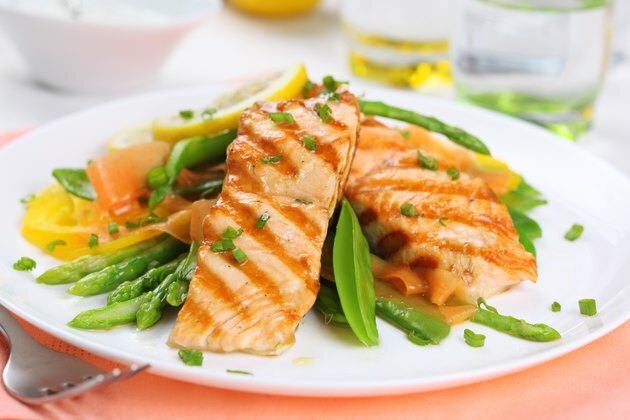 Your body still needs the same nutrients, so eat a variety of soft foods to maintain good health. Enjoy the nutritional benefits of your favorite fruits by purchasing pureed versions or by pureeing them yourself. Applesauce is readily available and supplies many of the same nutrients as a whole apple. 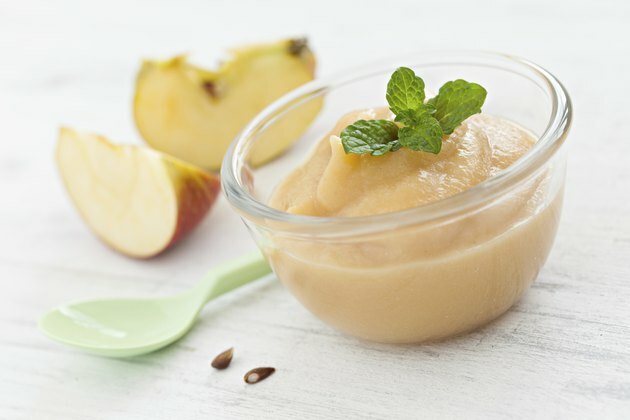 Look for other pureed fruits, such as pears and peaches in your local supermarket. Mash soft fruits, such as bananas, well enough that they do not need to be chewed. J. Randy Wilson, author of "The I-Can't-Chew Cookbook," suggests combining your favorite fruits, such as berries and bananas or limes and strawberries, to make smoothies or shakes that are easy to swallow and nutritious. 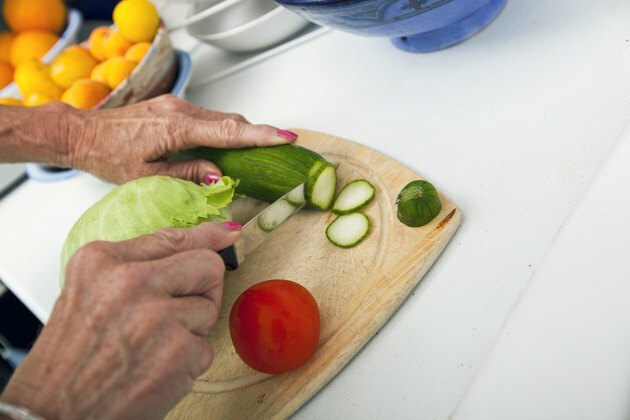 Well-cooked vegetables are soft enough to eat without teeth, and steaming them helps retain the bulk of their nutrients so you can still take advantage of what they have to offer. 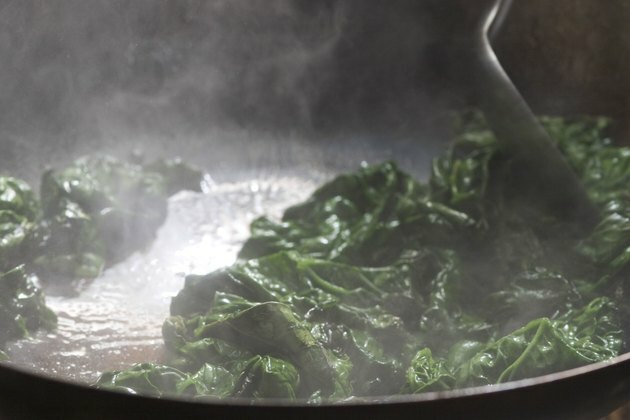 Steam your favorite vegetables until they are very soft and then mash or puree them until they are smooth. Whisk pureed vegetables with low-fat cream or milk and your favorite spices to create healthy soups. Boost your protein intake by combining pureed fish, meat or beans with vegetables in soups, suggests Wilson. 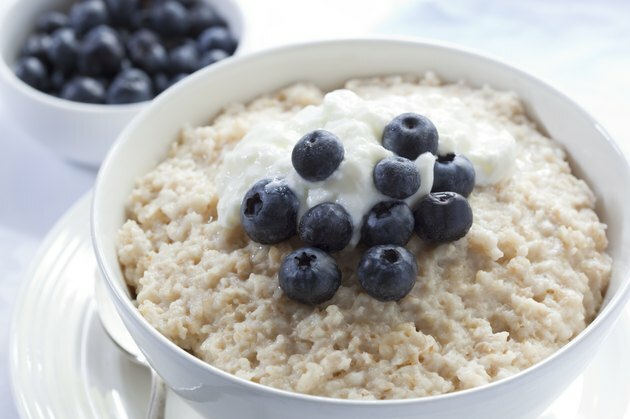 Hot cereals, such as oatmeal or farina, are easy to consume and provide you with a healthy dose of nutrients. Whisk in warm milk, pureed fruit and a dash of cinnamon for added taste. Pureed noodles can also be part of your diet. Enhance them with pureed vegetables for added nutrition. Combine cooked rice with pureed vegetables, such as carrots or squash, for a slightly different taste.